How Does Restylane Skinboosters Work? 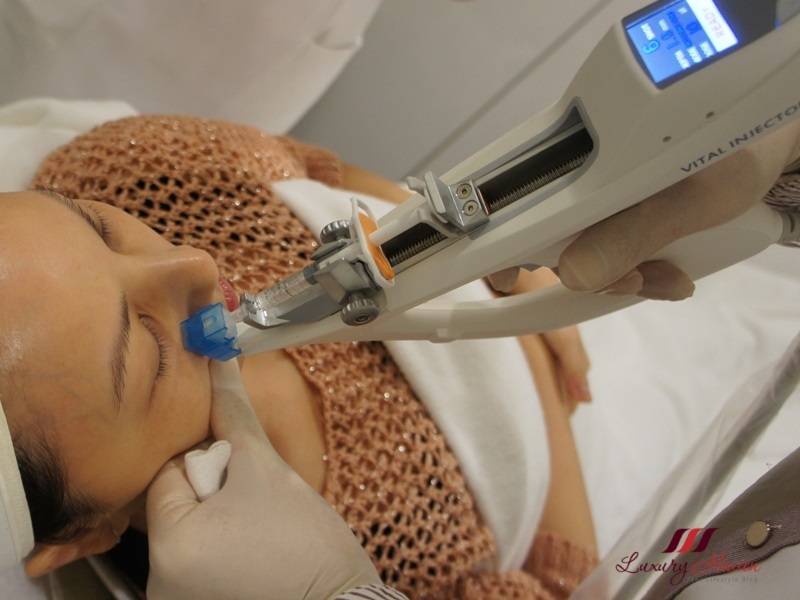 Each treatment at EHA Clinic involves a series of hydrating microinjections of long-lasting hyaluronic acid, also called stabilised HA, a water-loving substance found naturally in the body that maintains hydration in the skin. Areas that may benefit from a deep skin hydration treatment include the face, neck, hands and decolletage. Numbing cream is applied prior to treatment and a session for the face typically takes about 20 minutes. Hyaluronic acid is found throughout the body as well as in most other living organisms. It has many functions, from giving the skin elasticity to lubricating joints. Hyaluronic acid can bind large amounts of water and this important property underlies the unique characteristics of NASHA products. 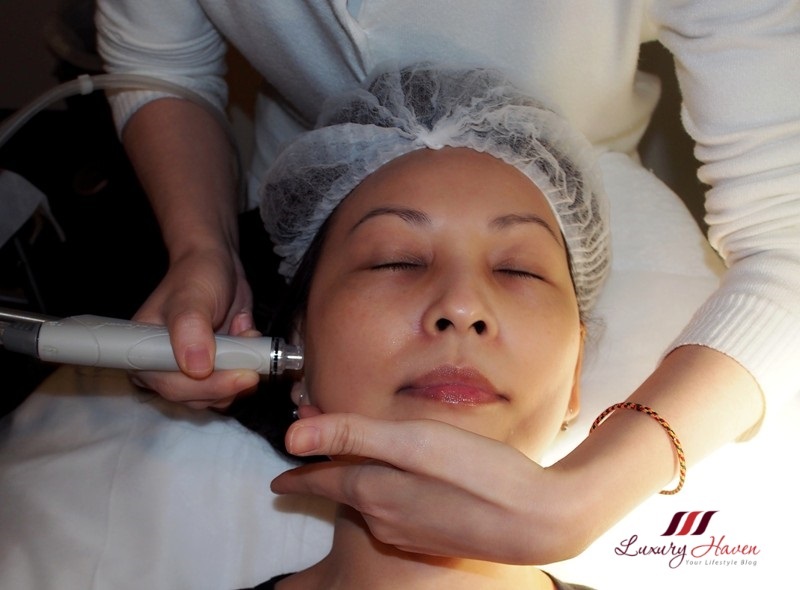 Restylane products are high quality and give long-lasting treatment results. This is achieved by using hyaluronic acid with a high degree of purity together with unique stabilization process, the NASHA technology. Over 20 million treatments with Restylane have been performed worldwide. Pain Factor (noting that I have zero tolerance for pain ) - Scale ranging from 5-6 for face, scale of 2 for eye areas. Patients may experience a burning sensation, redness with mild swelling after the treatment, but these will soon subside. It took about 3 - 4 days for the scabs to drop and my skin to clear. By far, Restylane Skinboosters is the most effective anti-ageing treatment I have tried. With ageing, the skin is unable to produce enough of its own hyaluronic acid and collagen, leading to the formation of fine lines and sagging. The Skin Booster treatment is definitely more effective than my usual moisturizers since it is able to replace the lost components and help to hydrate from within. In just 1 treatment, I can see a plumper and firmer skin. My face seems to be smoother and more radiant, and I can see a reduction in my fine lines especially around the laugh lines. 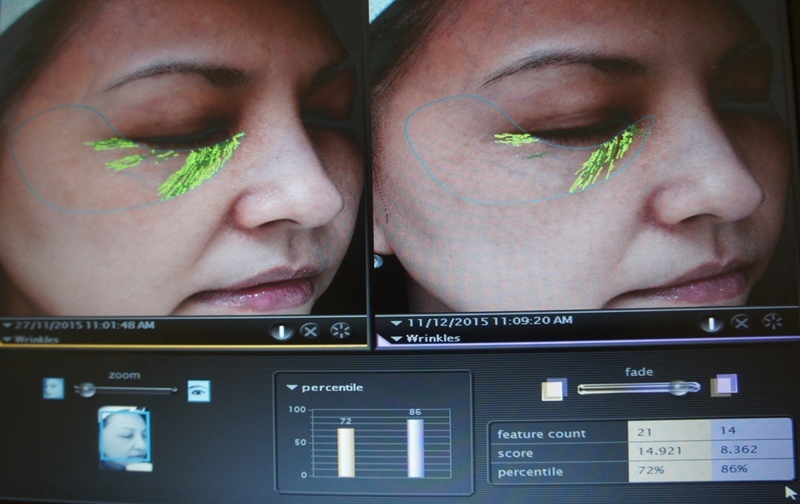 Before and After results 2 weeks apart on the VISIA Complexion Analysis shows a significant reduction in the appearance of wrinkles around the eye areas. While some may see results after just one treatment, a typical treatment program with Restylane Skinboosters is made up of three initial treatment sessions with 2 to 4 weeks apart. The initial 3-treatment program is done once and after that one treatment about every 6 months is recommended. 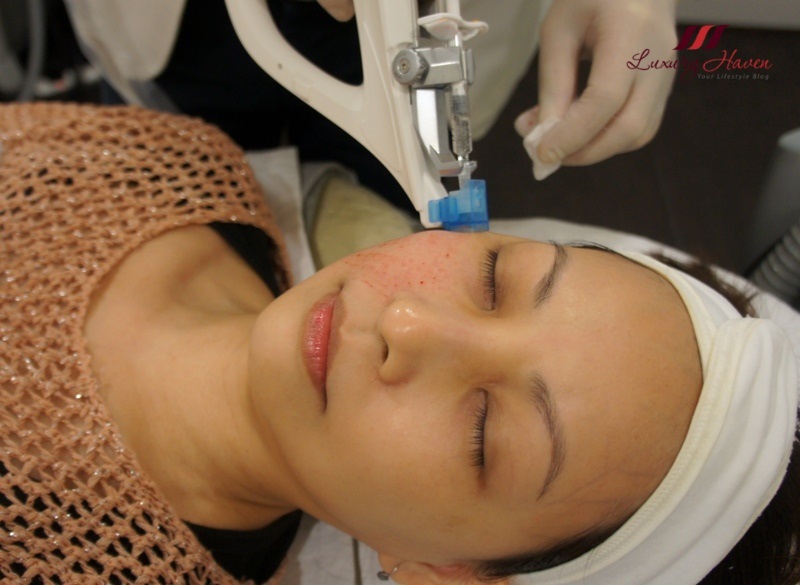 A Hydra Treatment combined with a 20-minute Omega Light Therapy at EHA Clinic may be recommended a week later to exfoliate, repair and aid the skin in healing. Book your slot now and unlock the secret of lasting deep skin hydration. I would like to try this treatment! You do very interesting treatment on your skin that makes it glow how cool to try. Happy Holiday doll. Very interesting treatment! Nice post and have a Merry Xmas!! Anything to beautify the face? Oh yes please anytime. I would love love love to get a treatment like that. Thx for sharing with us, Shirley. your skin looks gorgeous, honey. I hope your Christmas was filled with joy, love, laughter and lots of presents. sounds like an interesting treatment. This acid treatment sounds great! very informative post...I think many are afraid of trying treatments that include acid and they seem to be quite effective. I wish you happy holidays and happy New Year. Your son is going to be away for two years? that sounds long. I hope he can at least visit home. Ivana, hyaluronic acid is present in our body but we will lose them with age. 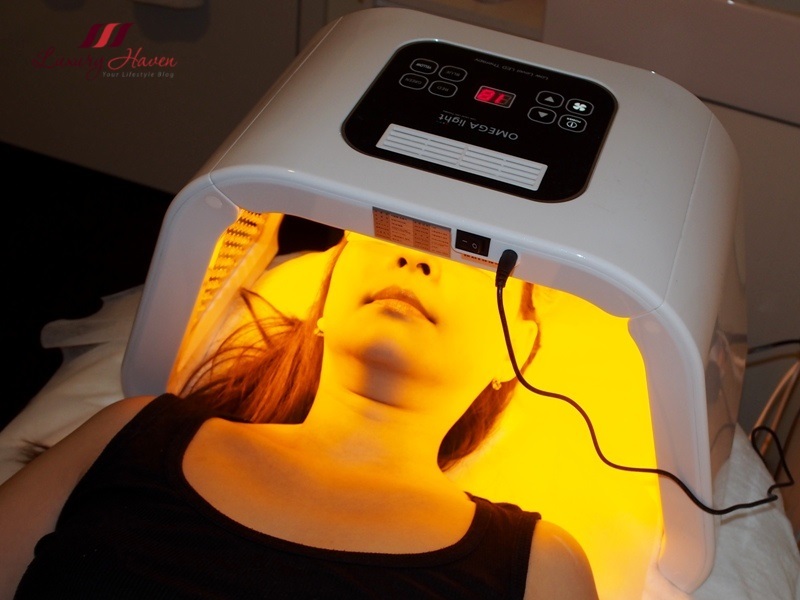 Hence, this treatment helps to recover the elasticity & radiance of our skin & it's completely safe. That is really interesting. I'm glad the scabs didn't last long, and that you were able to see significant results. I wonder if that's available in the United States. Sherry, Restylane is available worldwide & is extremely popular. You can try checking online for more info in your country. gotta intro to my partner! This could be perfect for me! You look so peaceful in these photos Shirley. I have a low pain tolerance too. Oh....now so high tech alredy ya..20 minute all done. Looking good. Sounds good! I would like to try it! I would love to have that kind of treatment! Happy Holidays Shirley! i love to have this kind of treatment. Currently just use mask in daily basis. Shirley! Happy New Year to you and wish you great health and be happy always. Nice treat. Wish I could pamper myself like this. Oh wow! looks like a great service! The end result is amazing although the needles looks scary..
Oh gosh, this would be something I consider when I am reaching 40 since for sure I will need a treat for my face. Why it is so hard to be a woman! However, your skin looks great! Wow, looks like an intense process. Don't think I'm ready for this yet but I do have fine wrinkles creeping in. I never heard of this treatment! Your skin looks fabulous.